advise you a multiple of options in an infinite of categories and places. culture, status, as well as your lifestyle. 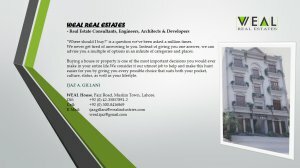 WEAL House, Faiz Road, Muslim Town, Lahore.